Neurodegenerative diseases (ND) are a growing health problem taking extensive toll on societies. The costs caused by dementia alone currently equal 1% of the global gross-domestic product and a three-fold increase to 115 million dementia cases is expected by 2050. Addressing this human and economic challenge requires efficient solutions that do not exist yet: tools to detect and diagnose persons at an early phase, and interventions for delaying disease progression. 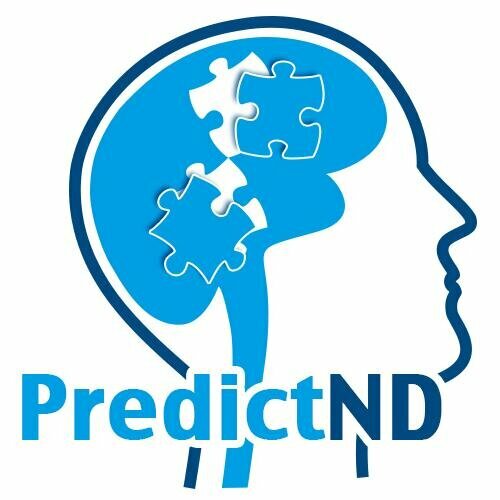 PredicND is a 4-year, 4.2 M€ European project focusing on developing tools and means for earlier, evidence-based diagnosis of a range of Neurodegenerative diseases. PredictND consortium members are VTT Technical Research Centre of Finland (Finland), GE Healthcare (UK, Sweden), Imperial College of London (UK), University of Eastern Finland (Finland), Rigshospitalet (Denmark), VU/VUmc (the Netherlands), Università degli Studi di Perugia (Italy) and Alzheimer Europe (Luxembourg).